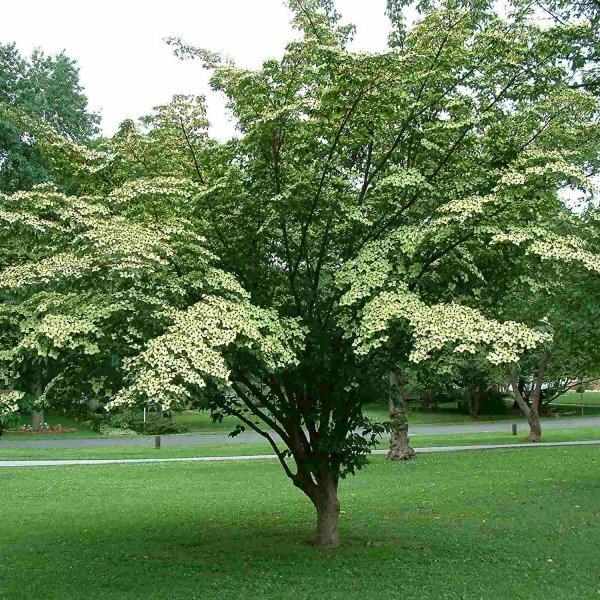 Cornus kousa, commonly called Kousa dogwood, is a small, deciduous flowering tree or multi-stemmed shrub that typically grows 15-30’ tall, with a vase-shaped habit in the early years but eventually maturing to a more rounded form. Bloom occurs in late spring. 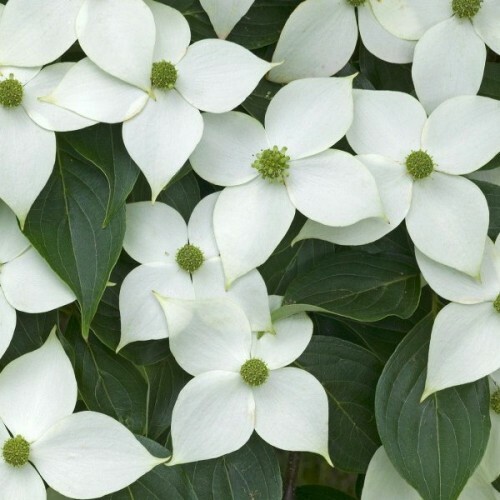 The showy parts of the Kousa dogwood “flower” (3-5” across) are the four narrowly pointed petal-like white bracts which surround the center cluster of insignificant, yellowish-green, true flowers. 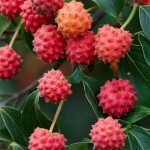 Flowers are followed by berry-like fruits (to 1” diameter) which mature to a pinkish red in summer and persist into fall. Fruits are technically edible, but are usually left for the birds. Oval, pointed leaves (to 4” long) are dark green. Var. 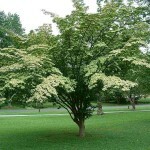 chinensis is native to China and is commonly called Chinese dogwood. 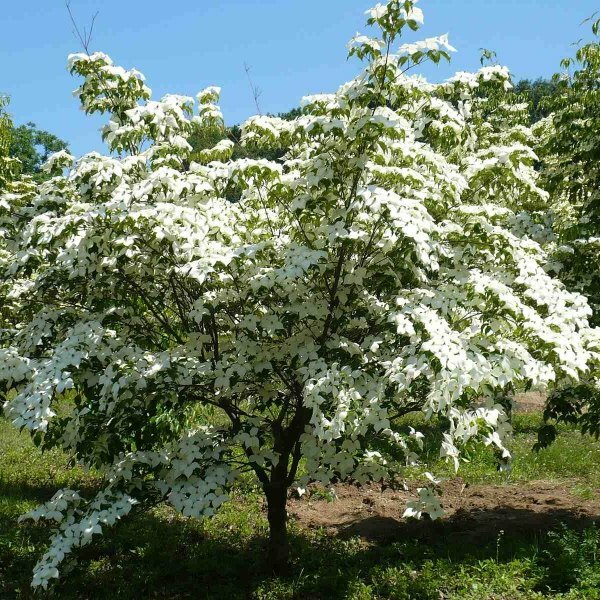 It is a small, deciduous, flowering tree or multi-stemmed shrub that typically grows 15-30’ tall with a vase-shaped habit in the early years, eventually maturing to a more rounded form. Var. chinensis is very similar to the species except for having slightly larger flower bracts, larger fruit, and larger, smoother and often more pubescent leaves. 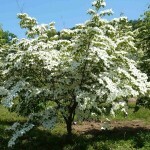 It is particularly noted for (a) abundant white-bracted flowers which bloom in profusion in May, (b) edible red berries (to 1.25" diameter) which mature in summer, and (c) showy orange-red fall foliage color. The showy parts of the dogwood “flower” are the four narrowly pointed petal-like creamy white bracts which surround the center cluster of insignificant, yellowish-green, true flowers. 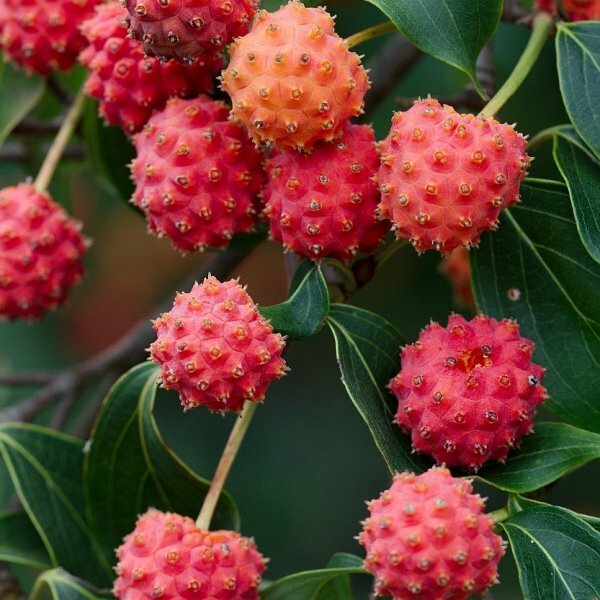 Flowers are followed by berry-like fruits (to 1.25” diameter) which mature to a pinkish red in summer and persist into fall past the point of foliage drop. Berries are exceptionally large and are edible (inner custard-like consistency) off the plant. Birds also love the fruit. Elliptic-ovate, pointed, dark green leaves (to 4” long) turn orange-red to scarlet in autumn. Mottled, exfoliating, tan and gray bark on mature trees is attractive in winter. Grow in average, medium moisture, well-drained soil in full sun to part shade. Prefers sandy, acidic, organically rich soils.